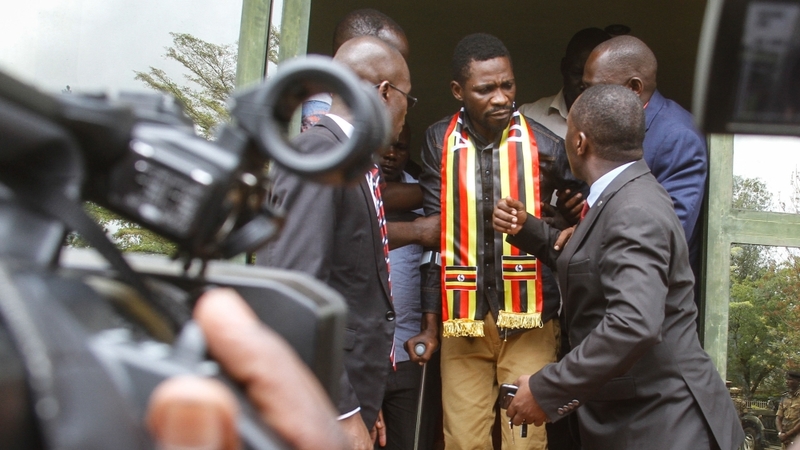 Robert Kyagulanyi, a Ugandan pop star-turned-opposition politician whose detention last month drew international attention, has called on the United States to stop supporting his country’s military. In an exclusive sit-down interview with Al Jazeera, his first for television since receiving treatment at a hospital in the US, the 36-year-old, who also goes by the stage name Bobi Wine, said the Ugandan government uses US backing to stifle dissent at home. Speaking to current affairs programme Talk to Al Jazeera, Kyagulanyi urged the US Congress to suspend the $800m support for the Ugandan military, which he accuses of torturing him during his detention in August. 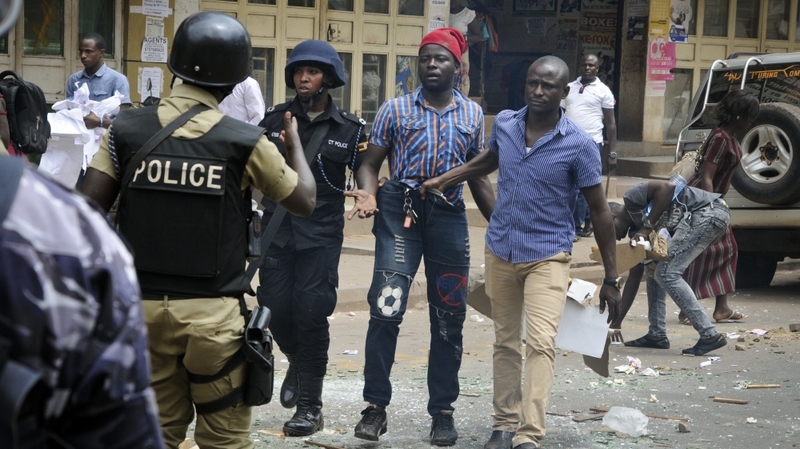 “It’s important, especially to the US taxpayers, to know that much of the military aid we get is actually used to oppress and brutalise the citizens of Uganda,” said Kyagulanyi. The MP and vocal opponent of President Yoweri Museveni arrived in the US on September 1 to receive treatment after he was allegedly tortured by Ugandan security forces – a claim authorities denied but vowed to investigate. The arrest of the self-styled “Ghetto President”, who was elected to parliament last year as an independent candidate, sparked protests and saw the deployment of the army and police on the streets. Kyagulanyi told Al Jazeera’s Andy Gallacher he was afraid for his life but that would not stop him from returning home. “I am fearful as a man but I don’t have another country. Uganda is my country. So, I either live in a dignified country or I will be remembered as a Ugandan who died trying to make a better Uganda,” he said. Kyagulanyi represents a new challenge to Museveni, emerging as a powerful opposition voice among youths frustrated by Museveni’s 32-year rule, especially after a constitutional amendment last year that removed the presidential age limit of 75. Museveni took power in 1986 and has since been elected five times. Kyagulanyi said the opposition is united in their desire for change, in a country where the vast majority of people are under the age of 30. “What unites us is not the identities of the political parties or sections that we belong to, but the desire of freedom and liberty that we have,” he said. “Our desire as the oppressed people is to redeem ourselves,” added Kyagulanyi. “We’ve always wanted to free Uganda but that free Uganda should not come at the cost of torture, should not come at the cost of murder or illegal executions … it should be got free because our generation feels like the price has already been paid.